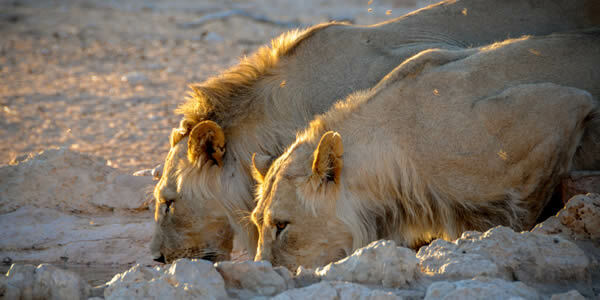 Safaris into South Africa's world famous Kruger National Park. Isivuba Tours & Safaris and Sister Company Kruger South Safaris have been operating out of Nelspruit town (Mbombela), the Gateway to the Kruger National Park since 2006. Our main aim is to promote South Africa, Mpumalanga Province, and the Kruger National Park South and surrounds region in particular, as a holiday and vacation destination to both South African as well as International tourists. We cater for individuals, small groups and families looking for personalised attention. We cannot compete with the big names in the tourism industry, what we can do is offer you the opportunity to deal direct with a small company that not only promises value for money Kruger National Park Safaris and South Africa Tours but also a once in a lifetime African vacation. We proudly present "The Greatest Show on Earth"...an African Safari experience! 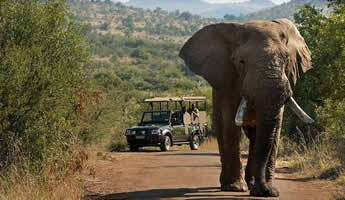 Our Kruger Safari Tours depart from Nelspruit (Mbombela) daily on request. We offer guests the choice of Kruger Safaris staying inside the National Park and, for those who prefer their creature comforts, we offer Kruger Safaris staying at a Hotel or B&B bordering the Kruger National Park. Getting to Nelspruit (Mbombela) from Johannesburg is easy, and our friendly office staff will gladly assist you with your travel and accommodation arrangements before and after your Kruger Safari. There are direct daily flights between Johannesburg O.R Tambo International Airport and the Kruger Park as well as direct daily flights between Cape Town International Airport and the Kruger Park. Direct daily flights between Nelspruit (Mbombela) and Livingstone (Zambia) makes it easy to combine a Kruger Safari with a visit to one of the greatest attractions in Africa and one of the most spectacular waterfalls in the world...the Victoria Falls. 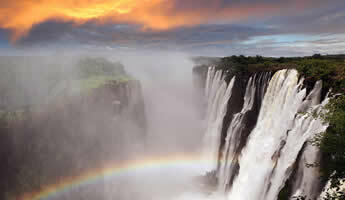 Our 5 Day Victoria falls and Chobe National Park Tour can be added onto any of our Kruger Safari packages. We offer a booking service for Nelspruit Kruger Mpumalanga Airport transfers between the airport and the entire Kruger Park south region including surrounding towns and Private Game Reserves. There are several shuttle bus companies that offer inexpensive transfers from Johannesburg O.R Tambo International Airport to the Kruger Park. Private road transfers from Johannesburg O.R Tambo International Airport to the Kruger National Park are available on request. 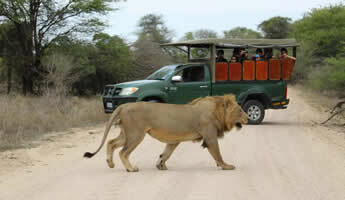 You can book you Kruger Safari Tours from Maputo Mozambique with us!!! We abide by our motto “Remember the quality of your Safari has EVERYTHING to do with the quality of the guide leading your experience…” we offer our guests the opportunity to deal direct with a company whose focus is and always has been exceptional customer service and value for money experiences. Our Mpumalanga Day Tours can either be booked on their own or added onto any of our Safari and Tour packages. Day Tours to the neigbouring countries of Mozambique (Maputo) and Eswatini (Swaziland) are very popular and a Panorama Route Tour to the spectacular Blyde River Canyon region is not to be missed! 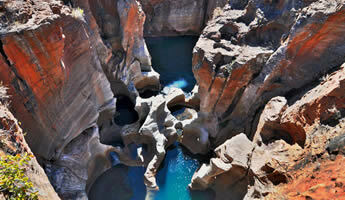 Our Guided Tours and Scheduled Tours showcase the best of what the Eastern region of South Africa has to offer. 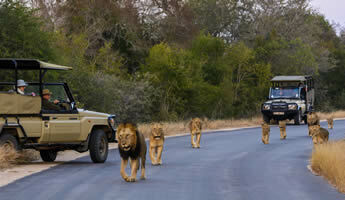 Wildlife Safaris in the world famous Kruger National Park South Africa. "The quality of your Safari has EVERYTHING to do with the quality of the guide leading your experience..."